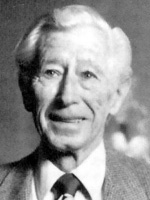 Jack Grimes played Jimmy Olsen during the last three seasons of radio's Adventures of Superman. 09/06/1976 0513 Graven Image Jody Barnes is a talented rock-n-roll/country singer playing the county fair circuit until he meets Craig Herbert, a talent agent. Craig gives Jody a gimmick, and plenty of publicity. It's all too much for Jody and he flees in disgust and terror at what he's become. 08/18/1980 1110 Human Error After unintentionally causing the hospitalization of a young woman, a man experiencing a midlife crisis falls for her. His friends soon become concerned when he begins visiting her for no reason. Thanks for the post! These guys are some of my favorites. Jack Grimes (52 episodes) was born on April 1st. He has most distinctive voice on CBSRMT, Jack Grimes is veterans of radio drama with a lot of shows under their respective belts. He usually played the young guy. One of the most memorable and versatile actors on RMT. I love Jack Grimes so much! He has such a great voice and I was shocked to hear him playing young guys and sounding the same in shows from the 40s and the 70s!